The Colorado football team may have disappointed with their late season collapse, but that doesn’t have to mean the absence of a Bol game. A game that features University of Oregon’s Freshman sensation, Bol Bol that is. While the basketball game doesn’t take place until February 2nd, the hype surrounding Bol is turning into must-see-tv. 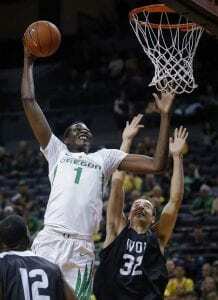 Listed at 7’3, Bol is averaging 21 points, 10 rebounds, and 3 blocks a game in what most assume will be a one-and-done season at Oregon. But if you’re asking whether Bol will be a “project” at the next level, it’s time for a history lesson. Bol’s father, Manute Bol, played 12 seasons in the NBA as the ultimate project player. The elder Bol cast a shadow among others with his 7’7, but rail thin 180-pound frame. Growing up in the Sudan, Manute was part of the Dinka tribe that was known for their extraordinary height as Manute’s mother was said to be 6’10, father 6’8, and legend has his great grandfather standing at 7’10. The stories of Manute were legendary as well. It was told that as a youth, Manute killed a lion with a spear while protecting the family livestock, and the danger continued as Manute first picked up a basketball at the age of 15, chipping his teeth on the rim trying to dunk for the first time. With an enormous 8’6 wingspan, his first vehicle in the United States had the front seats removed, and Manute would sit in the back seat in order to have room to drive. Manute was never much of a player as he only averaged 2.6 points and 4 rebounds a game, but defensively he was a human block party. Bol’s 2,086 career blocks placed him #15 on the all-time NBA record books. In 2010, the player they called “the project” died of liver-failure at the age of 47, although further legendary tales claim Manute’s immigration records were way off and he was possibly decades older. Manute Bol, with his massive height, limited skills, and questionable athleticism was the definition of an NBA project. Bol Bol’s story is quite different, and to call him another project is a stretch. Calling him a project-ed lottery pick is more accurate. Bol Bol was born in the Sudan as well, and obviously has the family height, but the comparisons stop there. Moving to the States as a small child, Bol Bol has grown up on AAU ball and step-back threes. 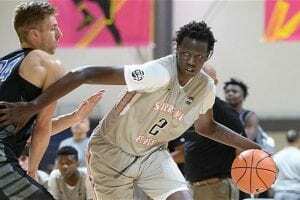 Amazingly fluid and athletic for a kid with a 7’8 wingspan, Bol Bol dribbles between his legs, shoots 53% from three-point range, and polished his game at Nike camps and elite high school programs like Findlay College Prep where he was a top-five high school recruit. Manute Bol ended up playing at the University of Bridgeport, a division II school in Connecticut. Bol Bol had offers from everywhere, eventually choosing Oregon over Kentucky, with a little help from Nike, Phil Knight, and their branding machine. Manute may have had to spear lions as a child, but his son is more worried about shoe contracts, media outlets, and ferocious agents trying to get him to sign. Tad Boyle may have a slight problem trying to match-up with a 7’3 shooting guard, and McKinley Wright may have to put a lot more arc on the ball if he drives the lane, but the Coors event center on February 2nd just may be the best Bol game of the holiday season.